Having spent most of the past 20 years working and ministering here in the Dundalk area, I have witnessed the incredible generosity of the people of this area in providing services and supporting causes that help to make life a little easier for others in challenging times. 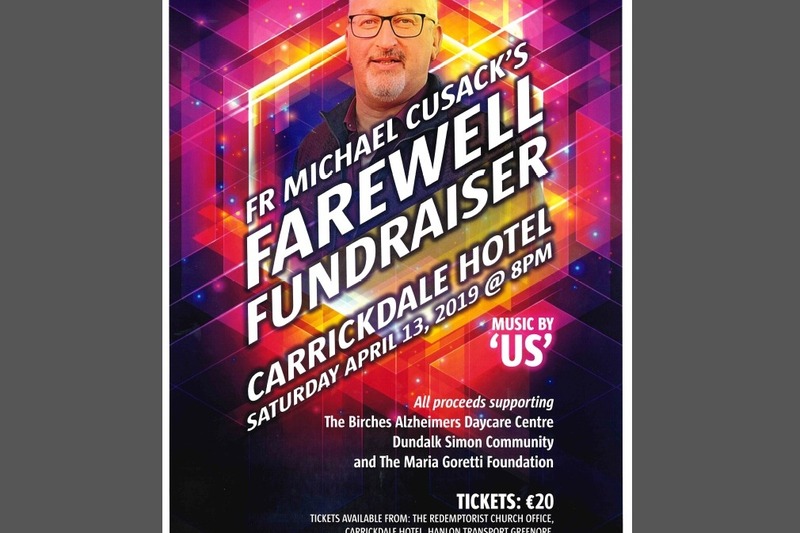 I have helped in fundraising for these and many other causes during my time here in Dundalk and I want to celebrate that great generosity of spirit as I leave this area by hosting a farewell fundraiser. All donations to this special fundraising event go directly and in equal parts to the 3 charities. The Birches Alzheimer’s Day Care Centre offers care, support and respite to families who are coping with Alzheimer’s and dementia. The centre is in Priorlands, Dundalk. The Dundalk Simon Community offer support and care to those who are homeless. They provide essential bed space, food, advice and care support for those who need these services. Sincere thanks to all who have supported these very deserving causes . May your generosity be rewarded a hundred fold.